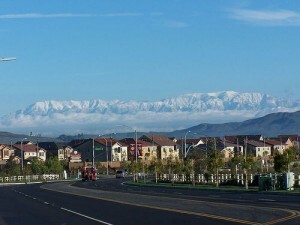 Your Murrieta Real Estate Agent guide to Murrieta. Murrieta is a city in the southwestern Riverside County, California. The real estate in Murrieta has been on the rise over the past few years, just like many other industries. With a population of 103,466 – Murrieta has experienced a 133.7% population increase since 2000. This has made it one of the fastest growing cities in the state – making Murrieta real estate and listings for sale blossom. Stretching to a total area of 33.613 square miles, Murrieta is fourth place when it comes to most populated cities in the Riverside County. The ideal location is one reason for that, as Murrieta is located in the center of the LA-San Diego Mega-region that includes a great population of 22 million people. If you are looking at the real estate listings for sale in Murrieta, California – you should be well informed about the geography and climate and in this city. 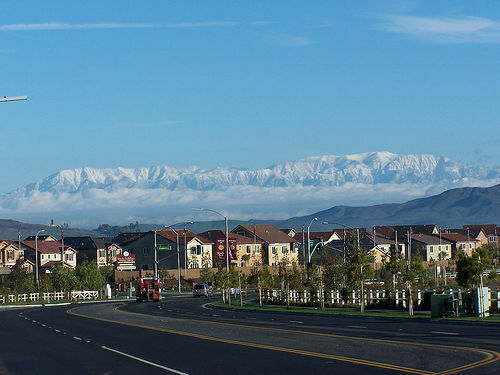 Murrieta is one of the cities in the Riverside County that blends the Mediterranean climate with a dry-summer Subtropical. With an average of 263 sunny days and 35 days with measurable precipitation, the climate in Murrieta is stable – despite the somewhat rainy period of November through March. Also, the ideal Mediterranean climate in Murrieta is combined with the phenomenon called a microclimate, meaning that the temperature can vary as much as 18 °F between the inland areas and the Californian coastline. The area is semiarid to arid, surrounded by dry valleys and desert mountain ranges. On the east, there are coastal grasses and distant desert foliage including cactus, bushes and brush. The climate varies in distance from the Pacific Ocean with warm summers and mostly dry winters. There were 32,749 households in Murrieta as per the 2010 Census. With the population increase, there have been a lot more listings for sale in Murrieta. The real estate in Murrieta has been one of the most progressive industries in this place, making the city expand and grow substantially. More than thirty percent of the population in Murrieta is under the age of 18, which is another great indicator that the real estate in Murrieta attracts first time homebuyers who want to settle in and grow a family. There are many new listings for sale in Murrieta, CA. Ranging from homes to business places for sale, the growing population has expanded the possibilities in Murrieta, California for both homes and businesses. According to new data, Murrieta’s population has grown to 113,795 in the 2016 State Report. This makes Murrieta one of the top most populous cities in the Riverside County – but also one of California’s real estate hotspots. The main economic activities in Murrieta today include light manufacture, international trade and offices of companies based overseas. The cost of living in Murrieta, California is definitely affordable compared to the other LA and Southern California cities, despite the rise in population. Basically, all of the issues that confront Los Angeles as a whole – from overcrowding to poor air quality, long freeway commutes and sprawl – can be eliminated with settling in Murrieta and finding the best real estate listing to your needs. Although smaller, Murrieta offers tremendous advantages as a city with rapid development and advances in all major fields. Elementary schools, high schools, malls, libraries, parks, restaurants and cafes – the real estate in Murrieta is definitely stretching out with the architectural advance. The fast population increase has made all of this possible – making the real estate in Murrieta a new chance for everyone. Obviously, the high-demand real estate in Murrieta, CA must offer the new citizens an array of activities to enjoy and things to do. The official City of Murrieta’s website has categorized the Things To Do section in three ways: Visit a Par, Take a Class or Take a Hike – all combining Murrieta’s best hotspots and places for recreation. The local calendar shows the monthly events and things to do for every month accordingly. However, the city of Murrieta offers a lot more than that. Nature lovers will find the Santa Rosa Plateau Ecological Reserve their ideal getaway location. Surrounding you with greenery and offering great views of Murrieta, this eco location is a popular hotspot in the spring and summer. Families that settle in some of the Murrieta real estate listings have found the Mulligan Family Fun Center their top activity. Basically, this family fun center has everything for all ages and tastes, offering both indoor and outdoor fun with a range of activities. Children can enjoy their time spent in games, entertainment and great activities to bond with the community. The Aces Comedy Club is Murrieta’s cultural hub and a place where great comedians gather and perform. And if you are up to racing, the Pole Position Raceway or the rollercoaster Epic Rollentainment will show you the best fun Murrieta has to offer. Day Spa and hair studios, waterfalls at the Tenaja Falls, golf clubs, cinemas, cantinas and a lot of restaurants are among the rest activities and things to do in Murrieta, CA. The list goes on and on, proving every new citizen that Murrieta is one of the fastest growing modern cities in California. If you are still wondering if some of the real estate listings in Murrieta could be your new homes, you should know that the median price per square foot in Murrieta is $165, but varies in every location. The market trends for Murrieta, on the other side, show a 4% increase in the real estate in Murrieta and the median sales price. With a variety of elementary, middle and high schools, Murrieta is the ideal place to start and grow a family in California, offering a great climate. On top of that, the economy in Murrieta guarantees a median household income of $82,607 with a lot of future opportunities. Check our real estate listings in Murrieta now – and see if this city can be your new California home!